Today, I spoke at the International Mass Fatality Management Conference, which brought together leaders in mass fatality management to explore past incident management, discuss lessons learned, and define best practices to improve future responses. It was a privilege to be with dedicated professionals from 38 states, 19 countries, and several government agencies who deal with such important, complex, and sensitive issues. My remarks were based on the NTSB’s experience in coordinating assistance to family members after major accidents. While NTSB has the responsibility to facilitate victim recovery and identification, we do not conduct those processes. 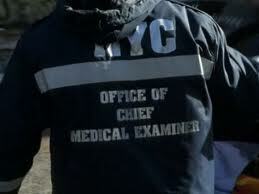 That responsibility remains with the local medical examiner or coroner. Yet, these offices can rely on our Transportation and Disaster Assistance team (TDA) to work closely with U.S. jurisdictions to ensure they get needed resources and advice. Importantly, while their work must be done correctly from a technical perspective, it is essential to effectively and compassionately address the needs and concerns of family members regarding victim recovery and identification. Interactions with family members are crucial, but it is equally crucial they be conducted with professionalism, understanding, and compassion. We’ve learned a lot since Congress gave us this responsibility in 1996. We know there is a constant and often delicate balance to maintain between the medicolegal responsibilities associated with any mass fatality event and the concerns of the bereaved. Yet, I reminded the audience that the way family members are treated during the initial response will stay with them forever, which underscores the importance of doing the work correctly and always with an understanding of the importance of families. 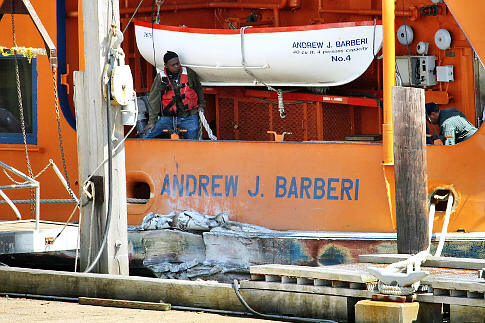 Yesterday, the NTSB met to consider the May 8, 2010, accident involving the Staten Island Ferry Andrew J. Barberi. Our investigation determined that the accident was due to a mechanical failure. Our investigation also found that the vessel, which has a capacity of 6,000 passengers, was not equipped with, or required to have, an alarm that would alert the crew of a propulsion or steering failure. Of the 266 people on board the Andrew J. Barberi, there were no fatalities and 50 people were injured. That is in stark contrast to the 11 passenger fatalities and 70 injuries from the Andrew J. Barberi’s October 15, 2003, accident that the NTSB also investigated. A lot changed between October 2003 and May 2010 — notably the New York City Department of Transportation’s commitment to making significant improvements in its Ferry Division. In 2005, the Ferry Division implemented a safety management system (SMS) consistent with our recommendations after the 2003 accident investigation. An SMS is a risk-based, methodical approach to safety. Under an SMS, the maritime organization details the policies, practices, and procedures for the safe operation of its vessel and for how to handle emergencies. This includes a framework for regular drills and training as well as spelling out clear roles for crew members and personnel on shore. Most important, the foundation of good safety management is commitment from top management. On May 8, 2010, the Ferry Division’s personnel efficiently and effectively executed their emergency response procedures as trained under the SMS. While there was a failure that day — of a mechanical part — there was so much that succeeded thanks to the SMS and the active leadership in the Ferry Division to make key safety improvements. As a result of our investigation, we recommended requiring SMS on domestic passenger ships. Operating under the discipline and standardization of an SMS sets the stage for a strong safety culture and that’s a win-win for the 21 million people who ride the Staten Island Ferry each year. Since SMS is so important to safety across all modes of transportation, last year the NTSB placed it on its Most Wanted List. 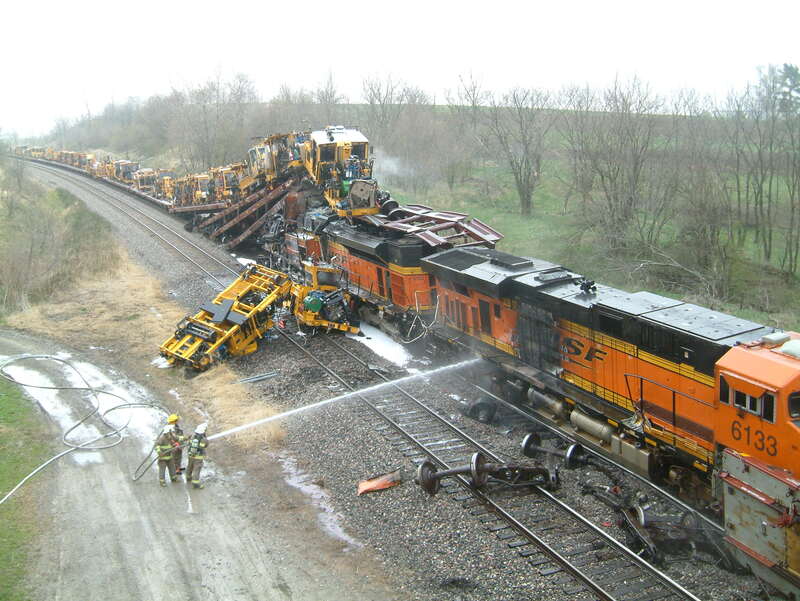 Today is the one-year anniversary of the railroad accident in Red Oak, Iowa, where an eastbound BNSF coal train struck the rear of a stationary BNSF maintenance-of-way equipment train. The coal train, which was traveling about 23 mph when it struck the standing train, had passed a red signal about 2 miles before the collision point. The signal required the engineer to operate the train at restricted speed, which meant stopping within ½ the range of vision. Sadly, both the engineer and the conductor on the coal train were killed. Our investigators have worked hard over the past year to identify the cause of this collision as well as to identify ways to prevent similar accidents from occurring in the future. At next week’s Board meeting, our investigators will discuss their findings and make presentations about crew fatigue, positive train control, crashworthiness, and data recorders. You can attend the April 24, 2011, meeting in person or watch it on webcast on the NTSB website. At the NTSB, we study accidents so we can make a difference in the future. We look forward to working across the railroading community to improve rail safety. For years (and years), we have called on automobile manufacturers and child-restraint manufacturers to provide our youngest passengers with adequate protection for when they are riding in cars. Over the past few decades, we have seen significant improvement in both the design of vehicles and child-restraint systems, but there is still more that can be done. Today, the Insurance Institute for Highway Safety (IIHS) released the findings of joint research conducted by IIHS and the University of Michigan Transportation Research Institute (UMTRI) that found that many vehicle seat designs continue to make child-restraint installation difficult for parents (and, of course, for others who are seeing to the safety of our younger travelers). Additionally, automakers are not adequately incorporating a system called Lower Anchors and Tethers for Children (LATCH), which is designed to facilitate child-restraint installation by standardizing attachment hardware. Let me explain. The researchers found that for LATCH to be correctly used automakers should make sure that the lower anchors are easy to see, easy to access (not obstructed by seat-belt buckles or seat material), and should not require parents to use a lot of force to connect the child-restraint attachments to the LATCH attachments in the vehicle. Unfortunately, only 21 of the 98 top-selling 2010-11 model passenger vehicles evaluated by researchers have LATCH designs that are easy to use. Yet, the responsibility isn’t just with automakers. Researchers also found that parents are not using the available equipment properly. At the NTSB, we recognize the importance of educating parents on proper restraint use. In a promising development, earlier this week the National Highway Traffic Safety Administration launched its new “Parents Central” website, which is designed to provide parents with information to best protect their children — beginning from that first drive home from the hospital all the way to the first trip as a newly licensed driver. New children and new parents are born every day, which means that education and outreach on child passenger safety never ends. I commend NHTSA, IIHS, and UMTRI for their continued commitment to this important safety issue. This week at the eighth annual Pipeline Opportunities Conference in Houston, I gave the keynote presentation on the lessons learned from the PG&E/San Bruno pipeline explosion. Sponsored by Pipeline & Gas Journal in partnership with the Interstate Natural Gas Association of America, it is the only gathering of its kind that focuses on pipeline projects worldwide. It presented a prime opportunity to discuss the Board’s recommendations and actions needed for the safe operation of the nation’s aging pipeline infrastructure. On September 9, 2010, a 54 year-old segment of an intrastate natural gas transmission pipeline owned and operated by Pacific Gas & Electric Company burst and released over 47 million cubic feet of natural gas. The accident and resulting fire happened in a residential neighborhood killing eight people and injuring 58. Thirty-eight homes were destroyed and 70 were damaged with hundreds of residents displaced from the community. The explosion created an enormous crater and the 3,000-pound, ruptured section of pipeline was catapulted 100 feet away. 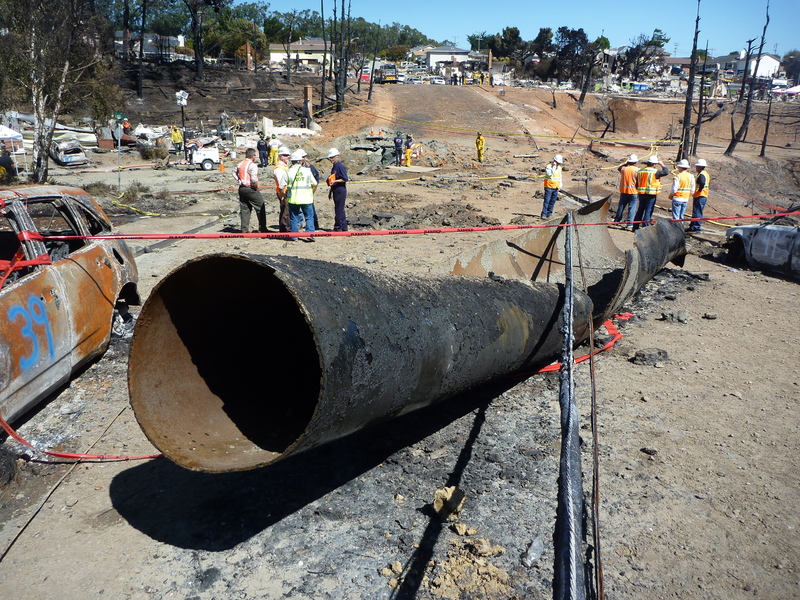 What happened in San Bruno highlighted a deadly combination of factors that resulted in tragedy, but the lessons learned from this disaster need to change the pipeline safety landscape across the country. With half of America’s gas transmission lines – roughly 150,000 miles – built prior to 1970, the aging infrastructure problems leading to the 2010 accident remain. The national response to implementing top-notch integrity management programs to detect and repair aging and defective pipelines needs to move faster and be more coordinated. This includes some of the NTSB’s most basic safety recommendations emanating from the PG&E/San Bruno accident; such as the installation of automatic or remote shutoff valves to control the flow of gas should a problem occur. As infrastructure of every type grows old from coast to coast, scrupulous record-keeping and regular testing is a must. Just as critical, meaningful improvements to pipeline safety culture need to move from reactive to proactive and rise above simply complying with the basic minimum standards of regulation. Without significant changes, the potential loss of life, injuries, and environmental damage resulting from delays and inaction is immeasurable. The lessons learned from the PG&E/San Bruno accident provide an opportunity to enhance pipeline safety across our nation. Mark R. Rosekind, Ph.D. was sworn in as a Member of the National Transportation Safety Board on June 30, 2010. He is a frequent contributor to the NTSB blog.